Designed for use in potentially explosive and emergency situations. Torch is supplied with a spare bulb and comes with a wrist lanyard. The Right Angled Model comes with a clip to allow ‘hands-free’ operation. Spare 2.4V 0.7A Bulbs also available. EN50 014, 019, 020, EN50281-1-1. The ATEX LED HT-400 Headtorch is the ideal compact headtorch for hands free lighting, particularly where access is difficult, requiring climbing or crawling and is CE marked to the ATEX Directive and IECEx certified for safe use in Zones 1 and 2 potentially explosive gas and Zones 21 and 22 dust atmospheres. The DURACEL EXPLORER Lantern is ideal for multiple uses. Offers the perfect light sources. Shock-proof and splash water protected. Light Intensity: 100 Lumen, Beam Distance: 125m. Flashlight Net Weight (excluding Batteries): 433g. 19 x LED. Takes 4xD or 1x6V Block Batteries (not included). 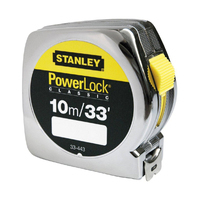 D-Batteries for Intrinsically Safe and Standard Torches. Long life powered batteries for multiple use power sources. Sun Cream Hydrates skin and contains Vitamins A, D, & E and moisturisers to help skin condition. SPF30 UVA and UVB. Heavy Gauge Refuse Sacks Grade D 300g Weight . Sold in Rolls of 25 sacks (4 x 25). Heavy Gauge Refuse Sacks Grade D 300g Weight . Sold in cases of 200 = 8 Rolls of 25 sacks (8 x 25). 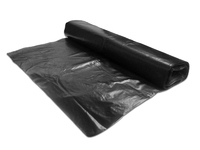 Standard Gauge Refuse Sacks Grade C 240g Weight . Sold in cases of 200 = 8 Rolls of 25 sacks (8 x 25). The 18425 Clear Refuse Sacks are 40 Micron Heavy Refuse Sacks. Flat packed in Boxes of 100. Standard Gauge Refuse Sacks Grade C 240g Weight . Sold in Rolls of 25 sacks (8x 25). 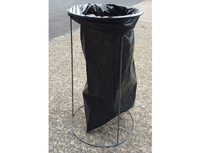 Wire frame refuse sack holder, 900mm high and 550mm diameter. Holds all refuse sacks up to 90 Litres. Measuring Tape with BladeArmor™ coating on the first 3" maximizes durability of the blade, Mylar® polyester film extends life of entire blade, Compact case design for grip and feel, Chrome high-impact ABS case is job site tough, Secure blade lock won't creep during measurements. 3M GENERAL PURP ANTI-SLIP TAPE 51mmX18.3m YELLOW. 3M Safety-Walk General Purpose Tapes have abrasive particles bonded by a tough, durable polymer to a dimensionally stable plastic film to provide an effective anti slip surface in most shoe traffic applications. Tapes provide durable, slip resistant surface for a large variety of applications. Primarily for use on dry, wet, oily floors inindustrial and commercial applications with intensive pedestrian or light vehicle traffic such as corridors, production and storage rooms, ramps, stairways, ladders, footplates on machines, emergency exits, etc. High quality abrasive particles to ensure long-lasting friction in any application. 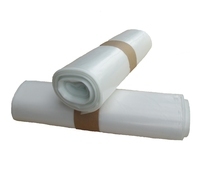 Plastic film to provide outstanding durability. High performance adhesive. 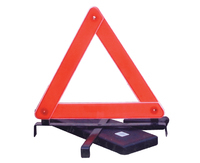 Heavy duty rubber wheel chock block which is placed under the wheels of stationary vehicles to prevent the vehicles rolling. Block comes with a metal ring built into it to facilitate hanging and storage. 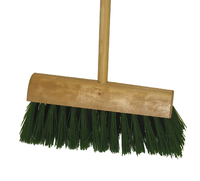 This Yard Brush has a tough wooden handle and stiff bristles. Brush Head 13". This brush is only recommended for outdoor use or the garden. SHERPA CHAIN SUPPORT & BASE 75MM BLACK/YELLOW. Specially formulated for use in toilets and washrooms to help neutralise washroom malodours, high-impact perfume contains no paradichlorobenzene and is fully water soluble. • pDCB free, does not contain Paradichlorobenzene. • Lasts up to 4 weeks dependant on urinal turbulence.• Biodegradable.• Detergent based, cleans as it fragrances.• Helps control limescale.• Water soluble, will not block water outlets. 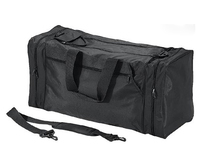 Quadra QD080 Black PPE Jumbo Workwear Holdall has an adjustable webbing shoulder strap with pad and a racket compartment. Ideal for carry all manor of things including workwear, sports kit and PPE etc. Capacity: 74 Litres. Dimensions: 75 x 35 x 30cm. SORB STANCE MATTING C/W91X163CM. Sorb Stance™ is the first modular anti-fatigue mat designed specifically for combined use with a sorbent pad in environments where pooling liquids can create a safety hazard. Made from a 100% Nitrile rubber compound, Sorb Stance™ is extremely resistant to chemicals, cutting fluids, oils and greases commonly found where sorbent pads are used. This unique mat offers anti-fatigue relief utilizing a raised footing system design on the underside of the mat that provides cushioning comfort and aeration. 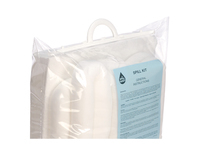 Compact easy to use emergency spill kit. Suitable for tankers, diggers and construction vehicles. Packed in a waterproof see-through bag which is easily stored in a vehicle. It contains; 4 socks to contain oil, 20 pads to soak up oil, 4 disposable bags and ties, 1 laminated instruction sheet. Component Spill Kit parts available on request. 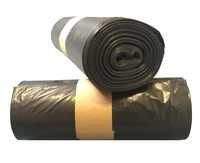 SORB STANCE MATTING REFILL PAD. Sorb Stance™ is the first modular anti-fatigue mat designed specifically for combined use with a sorbent pad in environments where pooling liquids can create a safety hazard. 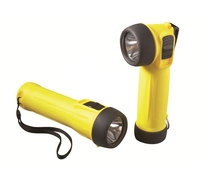 Weighing just 145g, the SA LUMIN EX LED Torch packs the power of a much larger handlamp into a compact, robust package. 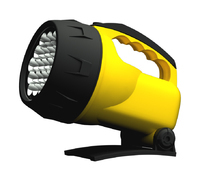 It throws out an impressive 135 lumens where you need it, and an Intelligent Light Sensor adjusts the beam, extending battery life to save you time and money. 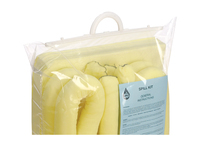 Compact easy to use emergency spill kit which may be used on most non-aggressive chemicals and can assist in the control of hazardous chemicals. Packed in a waterproof see-through bag which is easily stored in a vehicle or workplace. It contains; 4 socks to contain spill, 20 pads to soak up spill, 4 disposable bags and ties, 1 laminated instruction sheet. Component Spill Kit parts available on request. 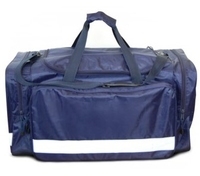 OXFORD Polyester PVC Coated Holdall. Sun Cream Hydrates skin and contains Vitamins A, D, & E and moisturisers to help skin condition. SPF50 UVA and UVB. Bath Towel made from 100% Cotton, 400gsm. Comes in one size (65cm x 135cm). Black Only. Disposable Film Cutter is ideal for cutting shrink wrap, plastic bags, plastic straps, twine and more. Integrated tape splitter for opening boxes without damaging the contents. Sold as Box of 50. OIL SPILL KIT 125 LITRE (WHEELIE BIN). The 125 Litre Wheelie Bin Oil spill kit is a complete spill kit with a total absorbency of 125 litres in a mobile wheeled bin. The kit is designed to absorb oil and fuel only whilst repelling water. Even with its large capacity the wheelie bin spill kit is mobile, easy to store, handle and deploy. 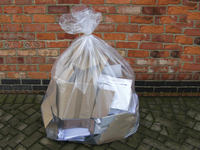 It can be reused and refilled by ordering one of our 125 litre wheelie bin oil spill kit refills. Ideal for the warehouse, workshop and factory. 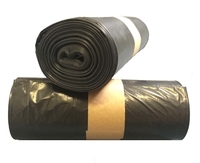 Absorbs Oil & Fuel, Large 125 Litres absorbency, Complies fully with BS7959 & ISO 9001:2008 standards, High quality absorbents used. Easy to move and store. Suitable for both right and left handed users. Spring-loaded blade retract system that responds to any uncontrolled hand movement. Manufactured using zinc alloy for a durable and great value option. Rubberised grip for strong hold. ABX 10 Oil Spill Absorbent is a fire retardant and a highly absorbent, environmentally friendly wood fibre which absorbs oil, grease and other liquid spillages. This non-toxic product can be incinerated and is cost effective when compared to other granule adsorbents. 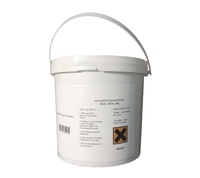 ABX10 granules designed for use with oil spill. The ABX10 is highly absorbent offering 30 litres of soakage from a 10kg bag. Ease to use, just cover your spill with the product and once it's soaked up the spilled material, sweep it, and dispose it. 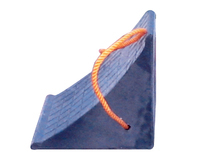 ROAD HOG SAFETY CONE 30"
The SH-701 Film and Foam Cutter easily cuts shrink wrap, foam and more with its high carbon steel blades and unique hook design. This cutter also includes blade storage in handle for two additional blades and includes a total of three blades. The durable plastic handle makes this tool lightweight and easy to use, just snap the cutter apart for replacement blades, then snap to close. For the prevention of injuries from rebar protrusion. A4 ring-bound Fire & General register book will help you fulfill your record keeping obligations under the statutory Fire, Health & Safety legislation. Mixed coloured rags provide a cost effective solution for varying applications. Produced from cotton rich material and cut in to wiper size pieces. 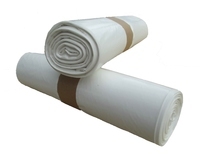 Cotton rags are perfectly suitable for heavy industrial and commercial cleaning. Great for mopping up water oil and service fluids from machinery and floors. Good general workshop rag cleaning cloths.